3 Stay At Home Mom Bad Habits You Need to Get Rid Of Now! Stay at home mom bad habits happens and if you don’t believe me read on friend! Oh, I wanted to be a stay at home mom so bad that we made a big decision and decided to achieve my financial goal and after 15 years working retail I did it. I love being a stay at home mom. The dream of becoming a stay at home mom and raising my kids was finally happening. I love that I was able to do what I had to do to become a stay at home mom. I am thankful that I can be home with my children when many others who want to be with their children can't. Not every stay at home mom is the same. Reality is not what we think our at home journey is going to be. Let’s be real here for a minute, can we? Some moms just love being a stay at home mom. They enjoy it and find it to be their calling. Being a mom is hard as it is and if you are not finding the joy you thought when you became a stay at home mom, that is normal. Again, I go back to not everyone mom being the same. The reason I tell you this is because I became a stay at home mom with a perception and the reality was completely different. Since becoming a stay at home mom, I developed what I call stay at home mom bad habits. I was a great stay at home mom, but I was missing something. I wasn't fulfilled. I felt terrible and guilty that I wasn’t happy or finding the joy I was going to find when I took on my stay at home adventures. Before we continue, let me point out some facts for those ready to pass judgment. This is not a stay at home mom working mom debate. Many stay at home moms are not at home because they want to, but out of circumstances. Just because it works out for you doesn’t it works out for the rest. When I first wrote this article, I was so afraid I was going to be judge, but the truth is that I wasn’t alone! From what I've been hearing and reading many stay at home moms develop these bad habits as well. The only way to get over these bad habits is to recognize them and do something about it. 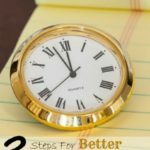 There are 3 stay at home bad habits that I was guilty of, and many of you as well. As you read this, you will recognize them and know exactly what I am talking about. Don't be afraid of what these bad habits are; we are going to overcome them. Even if you are a working mom, you are going to relate to these bad habits as well so don't feel excluded. 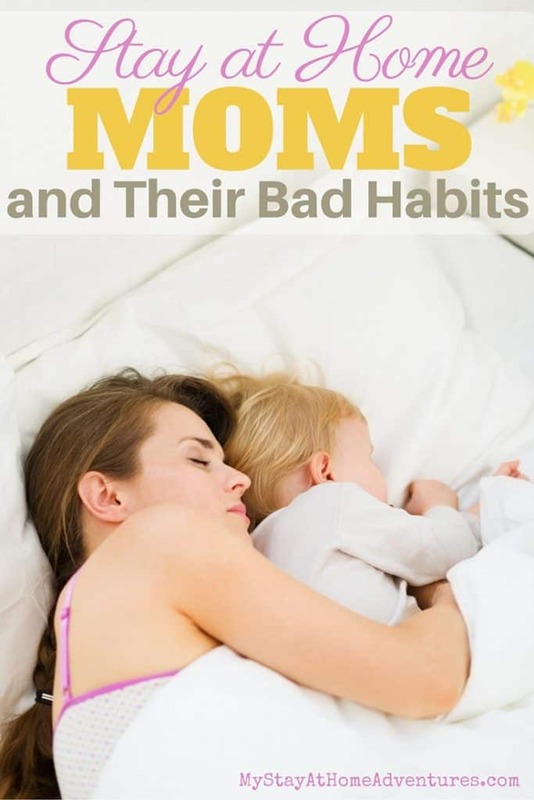 Guess these bad habits affect all moms alike. 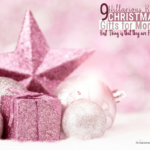 Many moms fall into this because we are givers! This was happening for quite some time, and though I usually go out with my friends once a month, I didn't do much for myself. When I go shopping, I shop for my family, not for me. When I go out with my friend, I think of the kids and what they are doing. I really want a nice haircut and a pedicure, but I put it for later, and later never comes. Since being a stay at home mom, I have focused all my attention on my family. When the rest of your family tells you to go do something fun for you and hands you a gift card to go spend it on you; you know there's an issue! As moms, we are programmed or made feel that we should put others needs first, and this is not true at all. Remember ladies that a happy mami equals a happy family. Taking care of yourself and making your priority is nothing to feel bad about. I have been stressing over this since I lost my job. I have been working at it, and it's getting better, but I can see how many moms feel this way. Sometimes I sit here and wonder if I'm pulling my weight in this family. I do think that way sometimes. Then, I kick myself for feeling this way. I do contribute to our family. Not financially, but I do. Just like my husband contributed to our family when I worked and he stayed home with the children. I never once questioned that and was grateful that he was able to do this for our family. Without him, we will not be where we are now. Not once did he ever mentioned anything about me not contributing at all. Guess number 1 bad habit comes from this. Not everything is about money or about what role do I play in this family. The house is clean, the entire family is taken care of, and our finances are taken care of. This is an important part of maintaining a well-balanced home. In the future when I start feeling this way all I have to do is look at what we have accomplished and what we have since I became a stay at home mom. Money or material things don’t defy me as a mom is how I well we raised how children and that doesn’t cost a thing! 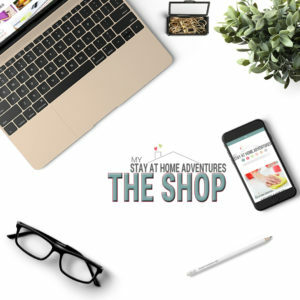 Whether you made the decision to stay at home because you wanted to be with your children or base on your finances, or for whatever the reason might be, Never, EVER, feel ashamed to say that you are a stay at home mom. Leaving my job was a decision that our family made and one I posted about here. 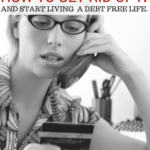 I have wanted to spend more time with my children and decided a few years back to start paying my debt and start saving to become a stay at home mom. It was a goal we set out for ourselves and thanks to controlling our finances we were able to achieve. I felt that stay at home moms are judged unfairly just like working moms are. But because I had a great paying job some people were not going to understand my decision. I know that is no one's business but our own, but let's be honest those comments do sting a bit. Of course many only see what I’ve done now, not the hard work it took to get everything settled before I was able to quit my job. I was surprised at how many family members and friends and neighbors praised the fact that I decided to leave my job to stay at home with our children. I love how much love and support I get from my family and friends about this major decision. This helps me feel better and assures me every day that I made the right decision. Have you been guilty of these stay at home mom bad habits? Tell us about it! 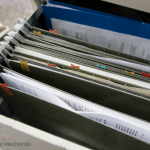 Are you a work from home mom? 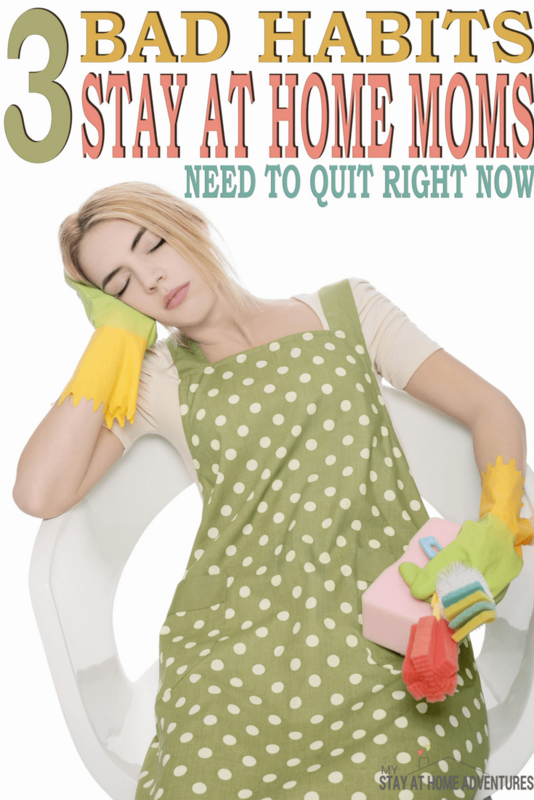 Check out A Work at Home Mom Bad Habits. Do you have kids with special needs? Here's how to ditch the mom guilt as a special needs mom. Good for you for doing what is best for you and your family, even with the challenges. Never worry about people who will judge you…they aren’t worth your energy! Is about family and what is right for you and your children. We get to spend precious time with them because they grow up so fast. Thank you for commenting. Thanks for sharing! Don’t feel ashamed for staying at home – there are so many mothers who WISH they were in your shoes! Thank you Amanda! Thank you for your positive comment. Yes!!! Number 1 for sure for me too! 😉 Thank you. I am with you on the, wanting to get a pedicure and hair cut but then totally forget it. Yeah I have a hard time making sure I take care of myself too! I feel like I don’t deserve it since I’m not making any money but that is definitely the wrong thinking! So understandable. But you are contributing so get your pretty on and do it with no shame. You deserve it. It’s really important to make sure you take of yourself too! Exactly, Molly. You have to take care of yourself so you can help others. I completely understand. I became a SAHM three years ago after working forever. I still feel like I have to prove I’ve been doing something worthwhile all day, but I’m getting better about that! Yes. That’s was tough for me. Like you is getting better. Thank you. Jessica so understandable! Thank you! It’s hard even for working parents to put themselves first. I agree Renee. I did the same thing when I worked too. Good tips! It’s definitely difficult for any mother to put herself first. Absolutely Michelle. We are givers and forget that we have to take care of ourselves. So I’m not a SAHM right now, but I’m planning to quit my job in early 2015, which will rearrange the amount of care-taking vs. working that I’m doing. Honestly, it kind of blows my mind that being at home with kids is not considered work. It is work! It’s just not paid. I think this is one of those things that needs to be redefined, but usually people are too busy being involved in “mommy wars” to take a good hard look at this kind of stuff. Anyway, I’m going to stop ranting now. Great post! Yes!! When I worked I paid others to take care of my children. Now I’m home doing it myself without getting paid. Getting them the best care from me. I dislike hearing that it must be nice to stay at home now like what I do counts as nothing. I so get you Lou. It’s hard work! Thank you for commenting Cayli. I think a lot of people can relate to this post (#1 is definitely a biggie). It’s wonderful to recognize these habits and know that what you’re feeling is very universal. Nice positive post! I totally admire stay at home moms. I love my kids more then anything but I also love to work. So I guess now that my kids are at school I feel less guilty about being a working mom. I worked until 2 years ago and I think even when I worked I had many “bad habits” too. Don’t feel guilty ever. You are doing what you are doing to provide for your family. Sending you a big hug you way. We all have opinions about what is best for others…Ignore them. You must do what is best for your family. I admire you for doing so. Do not let the misplaced feelings hold you prisoner and blind you to the treasure you have with your little ones. Thank you Kimberly for such wonderful words. I’m definitely guilty of doing or feeling some of these things. Glad to know I’m not alone in these feelings. You are never alone, Danielle. To come back on jobs market after kids no longer need your care, is what is hard for me now! I am definitely guilty of number 3. I can remember at book club when everyone went around the circle to introduce themselves and said ‘what they do’ …around they went “designer”, “lawyer”, “yoga teacher” and me…….nothing! Oh no! I understand but don’t feel that way. Don’t let anyone make you feel that way. Hugs!!! I wish there wasn’t a negative stigma surrounding SAHMs. I can’t think of anything more difficult to do than raising a child. Absolutely Erin. Thank you for the comment. This is so true! It’s the hardest but most rewarding job in the world – and no one who hasn’t done it understands that! So true Claire. Thank you! This article is right on! I have struggled with all three of your points. I’m amazed at how “easy” people think staying at home is! You got that right Brandi! Thank you! Absolutely Alana. Thank you for the kind words. I’m so guilty of only shopping for the kids. I’ve been doing better lately but probably because they already have everything under the sun! I understand completely. I was doing that or if I did wanted to get something that I needed I will buy the kids things too because I felt guilty that I was buying something for me. Love this! I left a well-paying job a few months ago and it is definitely an adjustment not contributing financially like before. But what we do is still important! Thanks Stacey! We sure do what we have to do! We stay at home moms definitely need to do something for ourselves! And I’ve said to my s/o before, I don’t always feel like I’m contributing to the household. I agree- we do need to do something for ourselves! It’s easy to put yourself last. We need some positive reinforcement, too! You are so right @leannepage:disqus to both! Thank you for stopping by! I know exactly what you mean! I work at home and make more than I did at my old job, but I still feel weird explaining to people how I make a living. I think they assume any work you do at home isn’t legitimate. I often feel like I’m not contributing much, but if you add up what I save us on childcare and managing our finances I probably “earn” more than I did when I was working! @JAR36:disqus when I started this blog I added how much we saved from me simply staying home. My job was about 45 minutes one way each day! The gas alone was killing our budget. You are contributing, Jennifer! Hugs! It’s also hard for me to feel like I’m actually contributing. I have a toddler, nothing gets done! =) But my husband has told me before that he truly values me staying home with our daughter because he doesn’t have to worry about the household while he’s at work. It is so nice to have a supporting husband. My husband is amazing when it comes to letting me know how valuable I am. I so understand when it comes to nothing getting done. I think by the end of the day I am so ready for bed from chasing after mine. I am not a mother yet but, I am a stay at home wife. I hear a lot of junk about how I am not contributing and all the same junk said. Sometimes it makes me want to cry when I hear anyone say it to me. My husband reminds me that I contribute, just differently. I manage the house business which is in his books the most important. People view contributing to a family with money. What you are doing Molly is contributing to your family, your husband. Even if you don’t have children, you are! Don’t let anyone tell you otherwise. You are an amazing woman and your husband appreciates what you are doing. #1 is me for sure. I never do anything for myself and if my husband begs me to I do, and feel guilty. It’s not fun. I can relate to #2. There’s this idea nowadays that someone who does basically ALL the work at home “isn’t working”. Actually it’s a neverending job without weekends off. I agree Alexa. I think people see “work” with money. When we are sick we don’t call off. We still have to take are of our family. Shelby, I struggled with that one as well, but don’t get embarrassed. You will surprised how many stay at home moms are out there. I know I was. I work at home (15 hours a week, but as a lawyer, so serious work at high pay). My husband works outside the home. I still feel guilty, sometimes. I think it’s just the nature of being at home. I agree with you Kristy. I think it’s in our nature to feel this way. I just didn’t realize how bad it became with me when I left my full time job and thought the transition was going to be nothing. What type of law do you practice? I’m also a licensed attorney, but stay home full time. Part time hours would be wonderful! Thanks! I love this and thank you for the reminder that it IS enough. I struggle with whether I should be at work or not, but luckily I have started making money on my blog and that has helped a little. I agree with Kristy (below my comment) I think most people just struggle when they aren’t doing the “norm” that is going out to a job outside of the home. You’re honestly such an inspiration that you saved to consciously stay at home (regardless of what others think). Thanks for being transparent about how sometimes people view us for making that decision – but you obviously made the right choice and have a ton of followers who get it, and are inspired by that choice! Thanks so much for sharing. I struggle with all of the above. Hey. The Ads you are running on your site are giving False Virus Warnings to your mobile visitors. It just happened to me twice. I had the same thing happen with one of my websites. As soon as I got rid of the Ad Network the problem ended. I was reading this article and I couldn’t finished it even in the Pinterest browser because after 10 seconds or so the ad redirects traffic Automatically from your site to their site, so you’re losing out on traffic. When my site has the issue I did some research and found it only happens with mobile viewers. I had to switch to my laptop to find it this article and leave this message. Some of the greatest work you will ever do is in the home! Great reminders to put aside any “mom guilt”–what you are doing for your family and community is worth it! Taking a little time for yourself helps you to recharge and be the best mom you can be! Thanks Joyce! This is great! You are truly doing the greatest job in the world! I wish I was a stay at home mom so bad! I’m trying to make enough money on the side so I can maybe quit my job. I don’t want to give my husband a burden like that yet. You know I’m both! 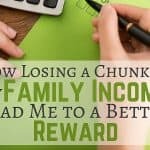 I think this work you do contributes a lot, and even if it didn’t is the work as a SAHM/WAHM does. I’m lucky that my husband is a SAHD, but also recognize that his contributions to the family are huge, both economically and emotionally for everyone involved. I appreciated your thoughts and yes it’s very great decision . I’m also stay at home Mom.actually I enjoyed everything about my family or my child. But it is also true women who stay at home, they never take care herself . Even they have lots of time for this but they always preference their family and friends. This was such a good article. I disagree with the last comment ONLY with the part where you don’t feel like you contribute financially, you save SO much from not having to put your child(ren) in child care, literally so much. So you may not be physically bringing in money, but you are saving so much. One child could cost up to $400 a month and if you pay for a nanny that is even more! Good for you for being a stay at home! It’s such a rewarding job and also one of the hardest and so under appreciated! To be honest I thought this was going to go a different way. I was waiting for “not cleaning your house” or “letting your children watch television when you should be teaching them 10 languages”. This is a great list and I think it’s definitely true for a lot of moms… they forget that their job is being with the babies! If they weren’t they’d be paying daycare costs, so moms shouldn’t feel like they aren’t contributing! Moms are badassea. “letting your children watch television when you should be teaching them 10 languages” This made me chuckle! Glad you like the post, Megan! Such a great article, thank you for sharing! I feel every single one of these on a daily basis!